Indoor and outdoor psychiatric services. Advanced De-addiction, relapse prevention and rehabilitation services. Short and long term rehabilitation for chronic psychiatric patients. Psycho-diagnostic, IQ and personality assessment services. Child guidance and adolescent clinic. Special learning disability clinic and mental retardation clinic. I have had obsessive compulsive disorder (OCD) for a very long time, and never really realized that the people around me never thought like I did. I used to wash my hands until they would bleed from being so dry. 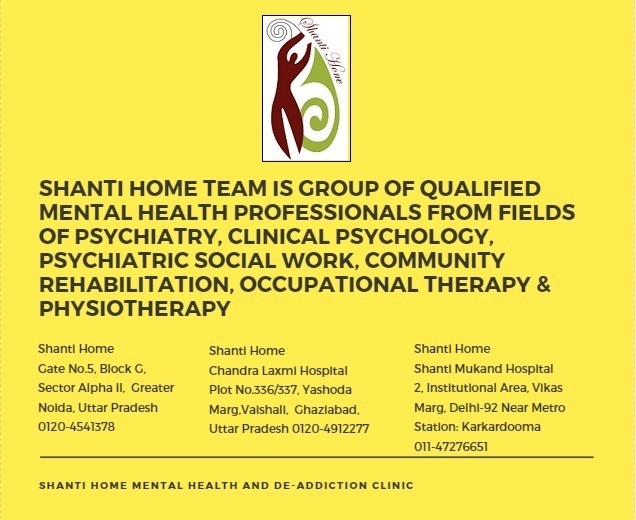 Then I researched for rehab center and got to know about Shanti Home. Doctors at Shanti Home Rehab are now helping me a lot. Hats off for their efforts.